Bronx bomber Francheyez has been hard at work the past few years. Having dropped "Federal Reserve Notes Vol. 1" two years ago, the Rotten Apple lyricist has leveled up heavily since then. He linked up with the Grind Mode Cypher platform and has dropped numerous videos alongside acts such as Ren Thomas and Daylyt, to name a few. Holding his own on the mic, Francheyez garnered national attention as well as new fans and more respect. 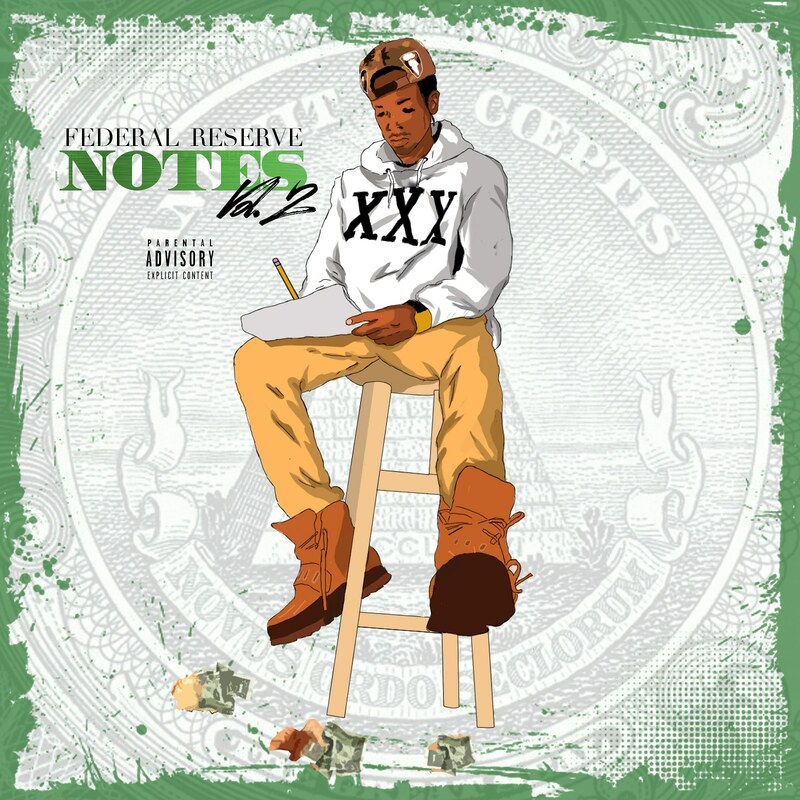 Now, the rhymer sets his sites on releasing the next installment in the "Federal Reserve Notes" series. Consisting of 13 tracks in total, Francheyez offers up all original material, a couple of his popular loose singles as well as a few remix joints. Songs to definitely check for are "Man of the House", "Night Fall", "Doing Bad" and "Blame AmeriKKKa". Known for his witty metaphors and battle circuit verbiage, the BK spitter delivers solid Hip Hop material for his core fans. However, he also experiments with modern rap sounds as heard on tracks like "Goosebumps" and "Roll In Peace". This shows that Francheyez is able to adapt to the times if and when needed. "Federal Reserve Notes Vol. 2" is also a precursor to warm up listeners to his upcoming project releases. Keep an eye out for his crew album entitled "Welcome to Cru York City" and his collab effort alongside Ren Thomas, "Disenfrancheyezed". Stay tuned for both project to drop while soaking in FRN Vol. 2. You can also catch Francheyez performing at this year's BK Hip Hop Fest in early July.